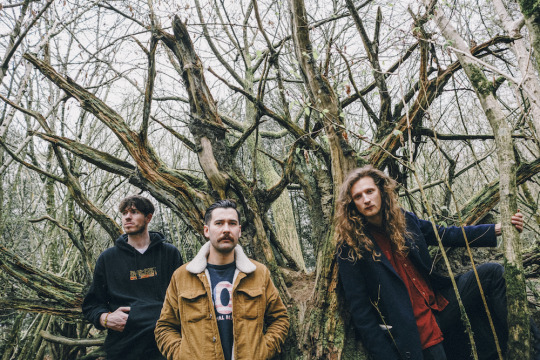 Though they have been compared to the likes of Alt-J and The Knife, Banfi brings its own specific sound to the table. The EP features four songs, each with a unique exploration of loss and longing. Joe Banfi’s vocals are those sweet indie croaks that go so effortlessly over verbed out guitar strums, oscillating between the gentleness of Sufjan Stevens in one line to the power found in one of Steven Tyler’s signature screams in the next. Banfi’s new EP is unsettling, touching, stirring and honest all wrapped up in a lovely indie package. Next comes a haunting cover of Peter Gabriel’s “Mercy Street,” from his album So. The vocals come in at almost a whisper and persist through the rest of the song, crooning “Dreaming of mercy…” between heavy drum hits on the second beat of each measure. The EP ends with an upbeat tune, “Leaving Me Behind,” which features somber lyrics but somehow leaves the listener with a sense of comfort and finality. This is precisely what makes Banfi a standout in the genre of indie pop-rock music. They have a way of addressing heartbreak in a relatable manner and not oversaturating the delivery with melodrama – a quality that makes listening through that much more authentic. They expertly balance both the darkness and light that dance across the spectrum of human emotion, which is a difficult task to achieve. Fair warning before giving The Jack Powell EP an exclusive listen here, there is a high chance that you will contemplate texting your exes. Plan accordingly. Banfi is currently touring through Europe–catch them live in the UK this March here. December 7, 2017 Discover Spring Queen, The Is The Kit, Richard Spaven, & more.